Greg Saulmon is a writer, editor and photographer living in downtown Holyoke, Massachusetts. Received a message in December that a peregrine falcon has been spending a lot of time around Open Square. On a weekend morning in early January I took a spin through my old neighborhood on my way to run an errand. It didn’t take long to find the falcon, feasting on a pigeon on top of a building on Front Street. I didn’t have my ideal photo equipment in my truck. But, I did have a camera body and a 200mm lens — with some significant cropping, that was good enough to document the sighting. 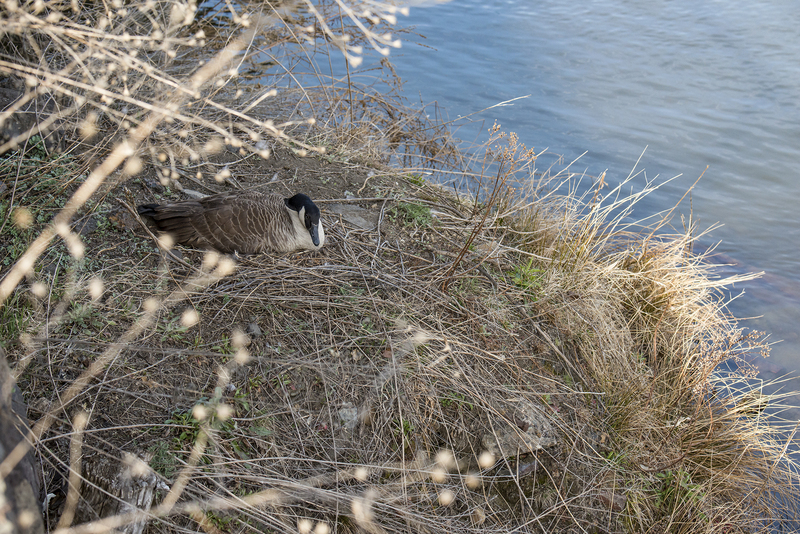 A Canada goose on a nest at Holyoke’s second level canal. Geese have nested on this stretch of the canal — and often in this spot — since at least 2012. An American kestrel on Lyman Street in Holyoke, April 1, 2018. 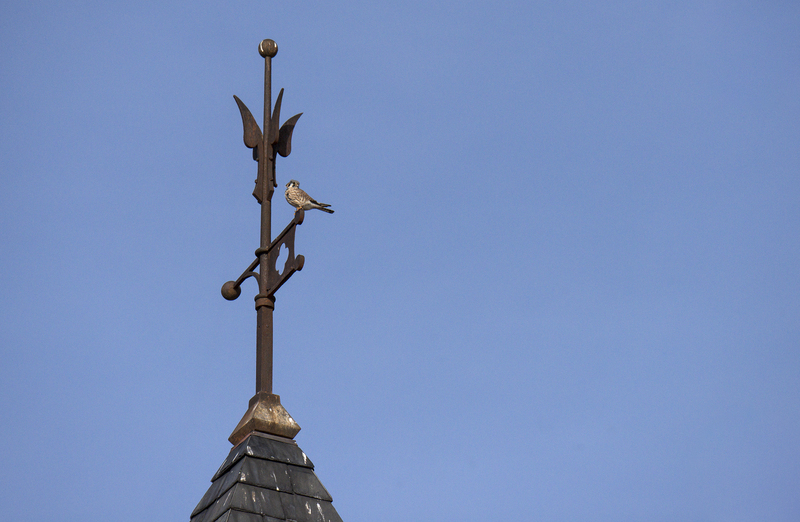 Kestrels have nested at Open Square on Lyman Street in recent years. 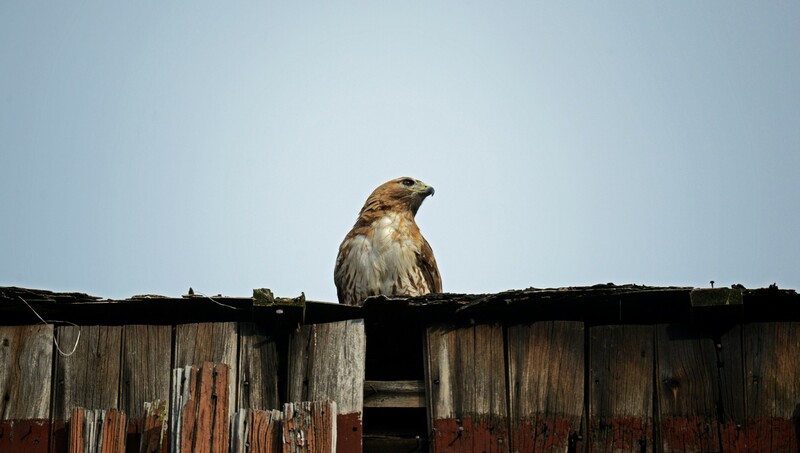 The hawks are downtown, but where is their nest?